The growing number of seniors and looming doctor shortage will stress the healthcare system, but telehealth technology is bringing relief. The aging Baby Boomer generation is set to strain the healthcare system as they move into their senior years. By the year 2050, 22 percent of people in the world will be over the age of 60, almost twice the percentage in 2015. These two billion people will pressure healthcare systems worldwide, seeking treatment for cataracts, osteoarthritis, diabetes, depression, dementia, and other common age-related complaints. However, the next two decades will see a shortage of at least 40,800 physicians in the United States alone, according to the Association of American Medical Colleges. With more seniors in the world, and fewer doctors, nurses, and personal support workers to treat them, telehealth can ease the burden. 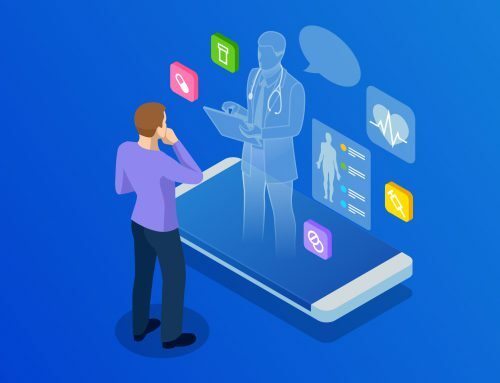 Defined as the use of digital technology to deliver healthcare, telehealth helps patients access doctors remotely by video while digital devices monitor their wellbeing. Telehealth technologies promise to reduce the burden on healthcare workers so they can deliver an even higher level of care. For a senior with mobility issues, getting to a doctor’s office can be challenging. Transport must be arranged, a family member or support worker needs to come along, and there’s an added risk of falling or even catching a nasty bug in the waiting area. If the patient lives in a rural area, a specialist physician may not even be within a reasonable driving distance. 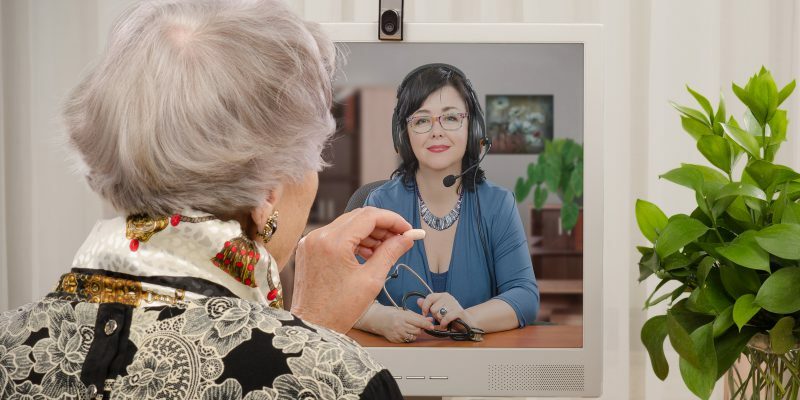 Telehealth helps seniors access their doctor from home through a video-linked virtual visit. For simple visits, such as a check-in on drug dosage or diabetes management, the doctor can provide the same care as in office, without the patient leaving their home. These in-home appointments reduce stress on patients and caregivers alike while freeing doctor and caregiver time to see more patients. Telehealth also avoids costly hospitalization for patients living in nursing homes. 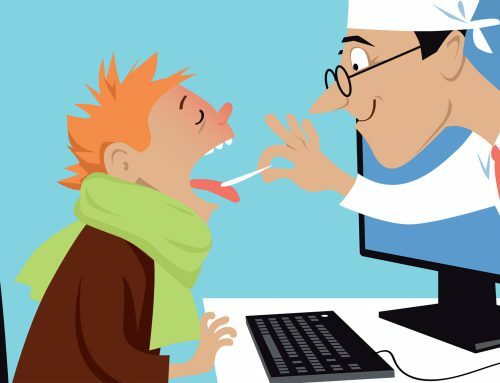 With virtual doctor’s visits, the physician can look in on a patient more frequently. Devices such as blood pressure and blood glucose monitors can alert healthcare workers to any changes. When a problem is spotted early, caregivers can intervene, potentially preventing a medical issue from escalating into a future trip to the hospital. 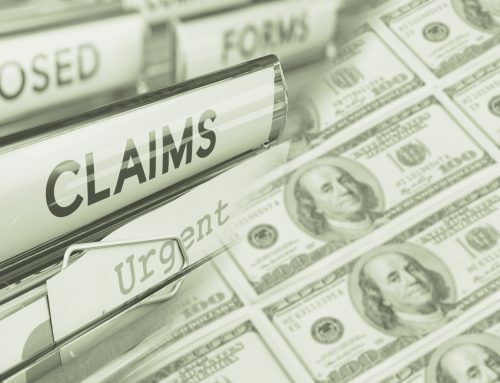 One study suggested implementing telehealth programs in nursing homes could save US$327 million a year by eliminating 387,000 visits to the emergency room. A nursing home program in Illinois found 81 percent of patients destined for the hospital could instead be treated on-site, thanks to the help of a video-linked physician. Reducing hospitalization not only saves money, it reduces the chance of patients picking up an infection, bringing influenza or another dangerous virus back to the nursing home. Wearables can also reduce moves to a new facility. A Pennsylvania non-profit senior community asked residents to wear a monitoring device which immediately alerted nurses to a fall. This dropped the proportion of residents moving into a nursing home from 20 to 12 percent, freeing nursing staff to focus on the more frail patients. Doctors, nurses, caregivers, and others cannot watch all patients at all times for health problems. However, with devices like WiFi-enabled blood pressure and blood sugar monitors, and sensors that detect a fall, they can better monitor their patient’s wellbeing. As devices record vital statistics, the healthcare team gets a better idea of the senior’s health throughout the day and has early warning of impending health issues. With a video connection available, the nurse or personal support worker can immediately consult a doctor, or just check in remotely to ask the patient how they are feeling. When a doctor’s appointment is imminent, some patients drastically lower their intake of sugar or fatty foods – afraid of spikes showing up on their blood test. When a device is constantly tracking blood sugar levels and continuously sending reports to the doctor, the patient has greater motivation to balance their behaviour. Eating too many unhealthy snacks would immediately affect their stats, producing an instant reminder of the health consequences. Telehealth reduces healthcare costs for patients, nursing homes, and insurers as it lowers hospitalization rates and transportation costs. Although telemedicine has high initial costs for nursing homes, it can repay this investment with a reduction in hospitalization. For doctors, telehealth can mean more income as they help more patients in a day. Nurses and allied health workers can check in with patients remotely, making more efficient use of their time. Remotely-monitoring patients not only helps care for more patients, but also provides a higher level of care. Nurses can focus on their most frail patients knowing they will receive an alert if a more mobile patient falls. Doctors and health workers see if a patient really does have their blood sugar or blood pressure under control, taking action if needed. Nursing homes can reduce costly hospital visits and access a remote doctor. With an aging population and looming healthcare worker shortage, telehealth is an effective way to build resilience into the healthcare system.